The Dunlop Black Widow 1.31mm tennis string set is 12m (39.4ft) and is designed with serious players in mind. The string set has a gauge of 16 (1.31mm) and is inspired by one of the world’s deadliest predators to ensure unmatched power and exceptional spin. It features a heptagonal outer profile and is constructed of high tensile, monofilament premium polyester. for submitting product information about Dunlop Black Widow 1.31mm Tennis String Set We aim to answer all questions within 2-3 days. 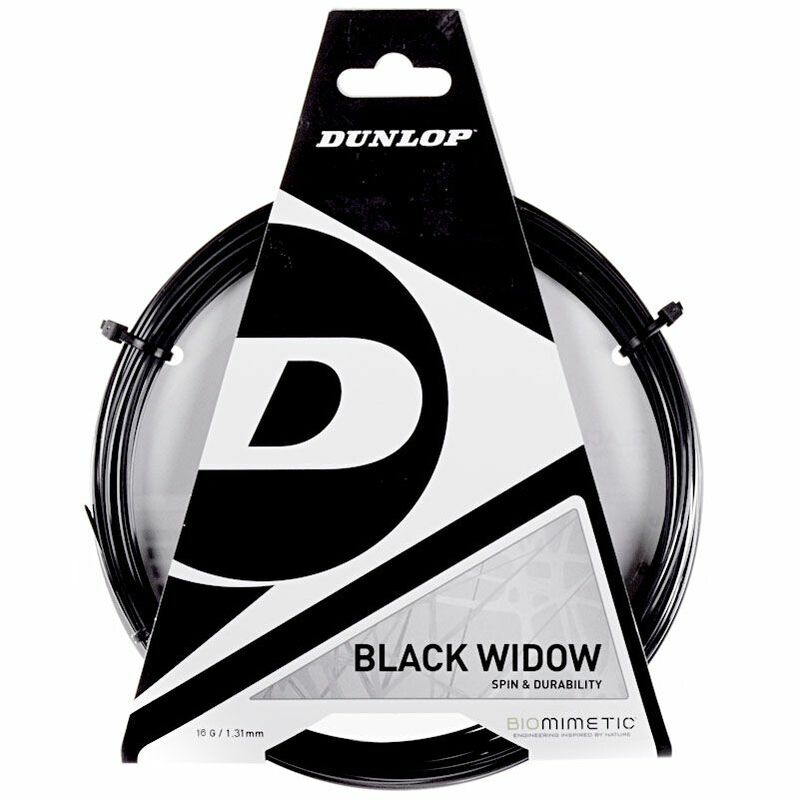 for submitting product information about Dunlop Black Widow 1.31mm Tennis String Set. We aim to answer all questions within 2-3 days. If you provided your name and email address, we will email you as soon as the answer is published. for submitting product review about Dunlop Black Widow 1.31mm Tennis String Set.